Tensor Global, a world-wide leader in the manufacture and distribution of industrial use adhesives contacted us at Corporate Three Design to incorporate their redesigned brand into a new website. Tensor offers a variety of adhesive solutions for a wide range of industries in three different countries. Their goal with the new website was to provide an enhanced user experience to help their clients find the right adhesive product for the right job and in the right location. Our C3D development team designed a solution where each of the countries/regions Tensor operated in would have their own separate website allowing for variance in content and product. Our content management system was structured so that each of the sites could be managed from one central area making it a user friendly process for the Tensor team managing the site as well. 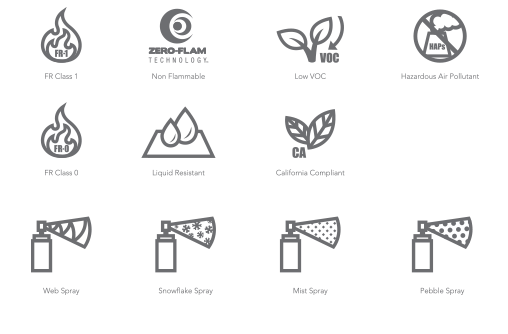 As part of the website design, it became apparent that custom icons would help Tensor communicate more clearly with their customers. 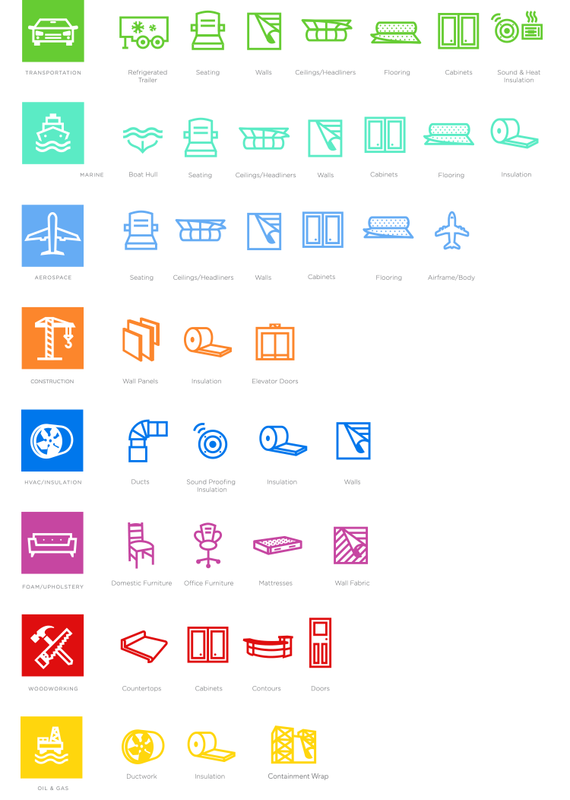 We designed a system of 100+ icons to visually organize Tensor's products lending to an enhanced user experience. 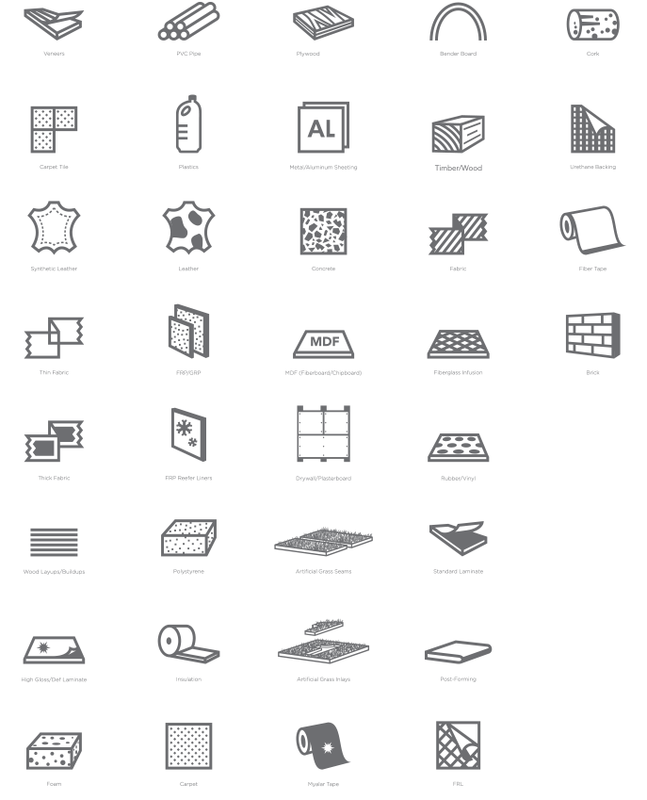 These icons have also become a brand staple by enhancing product packaging and display graphics. 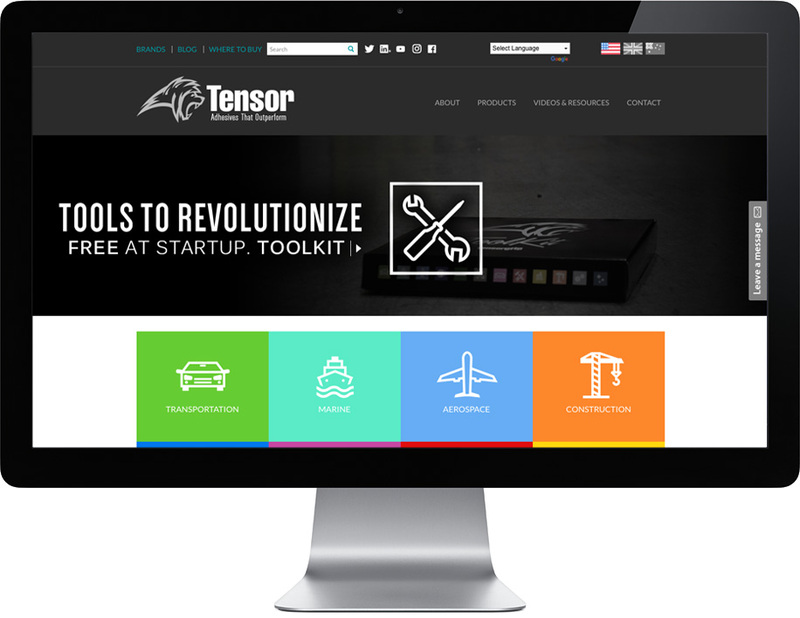 With a redesigned site and a clear icon system, Tensor has achieved their goal of delivering an enhanced user experience that makes it even easier for customers to find the right product for the job.